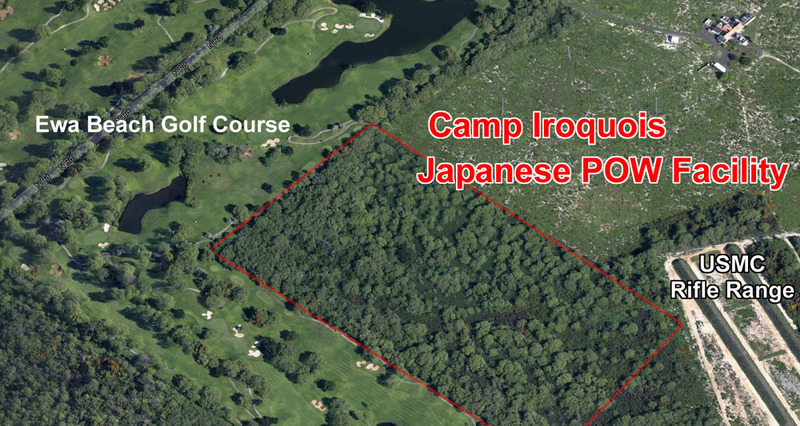 A story very few anywhere know- Camp Iroquois is mentioned indirectly in various post Pacific War books and also in The Interpreter archives of the University of Colorado, Boulder. Finally its importance in helping to win the Pacific PSY-WAR against Japan in WW-II can be revealed and the still existing site considered for a National Register nomination. 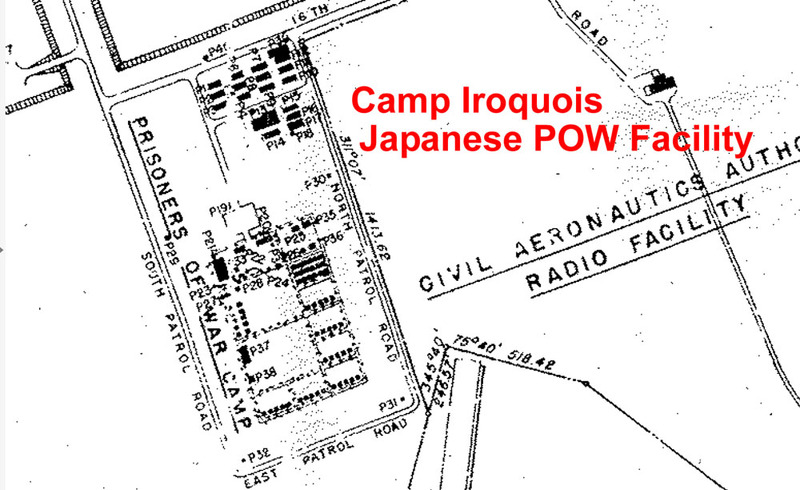 While Many know today of Honouliuli Internment Camp and the internment of local Japanese Americans, far less is known about the facility called Camp Iroquois, an important Pacific War Prisoner of War (POW) camp for selected Japanese. 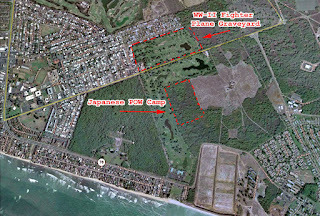 NPS National Register of Honouliuli Internment Camp states that it is distinctive as the only Hawaiian site remaining that was built exclusively as a World War II confinement camp. Actually this is not accurate. 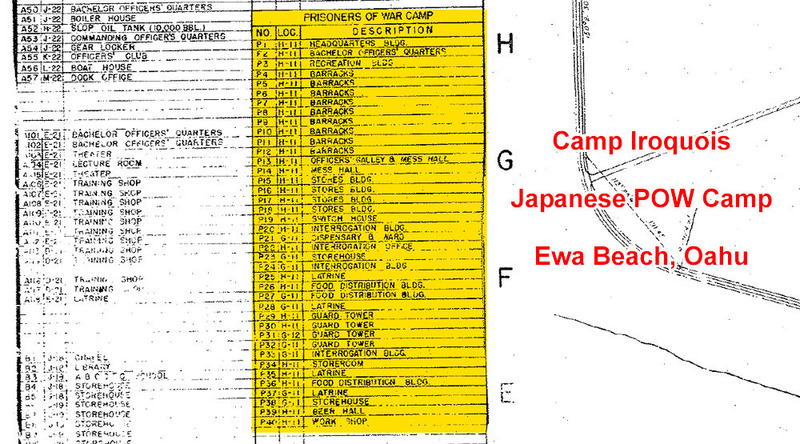 In the Ewa Beach – Puuloa area was a Japanese Prisoner of War compound of significance to winning the Pacific War but remained so Top Secret that only documents found at the University of Colorado reveal the extent of the facility. The existence of Camp Iroquois is mentioned only once in passing in the Honouliuli Internment Camp National Register nomination form and not at all in the National Monument declaration. 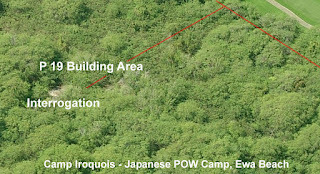 Camp Iroquois was unique as a Japanese POW camp with a philosophy of winning the "hearts and minds" which helped play a significant classified, secret role in winning the Pacific War. Americans usually heard very grim and brutal stories of the treatment of American prisoners in the hands of the Imperial Japanese military. 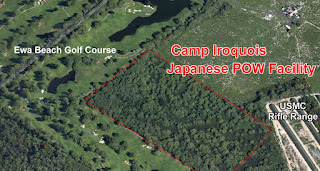 Additionally, the alumni of the Camp Iroquois project became some of the most important ambassadors, academics and writers that greatly influenced future American Japanese relations and the establishment of many organizations developing diplomatic and cultural relationships and a solid mutual defense partnership. 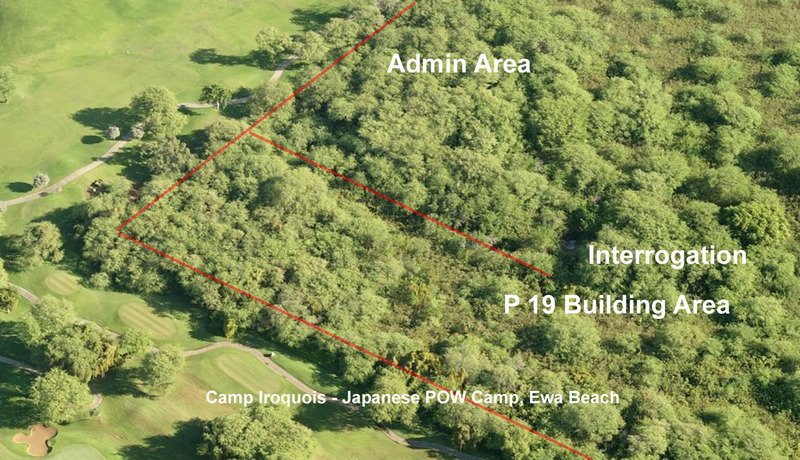 The POW compound area, and building footings remain today in an area off of North Road and bordered on two sides by the Ewa Beach Golf Club. A 1946 14th Naval District Master Location schematic map shows the location of the facility as north of today’s USMC Puuloa Rifle Range and west of the FAA Radio facility. 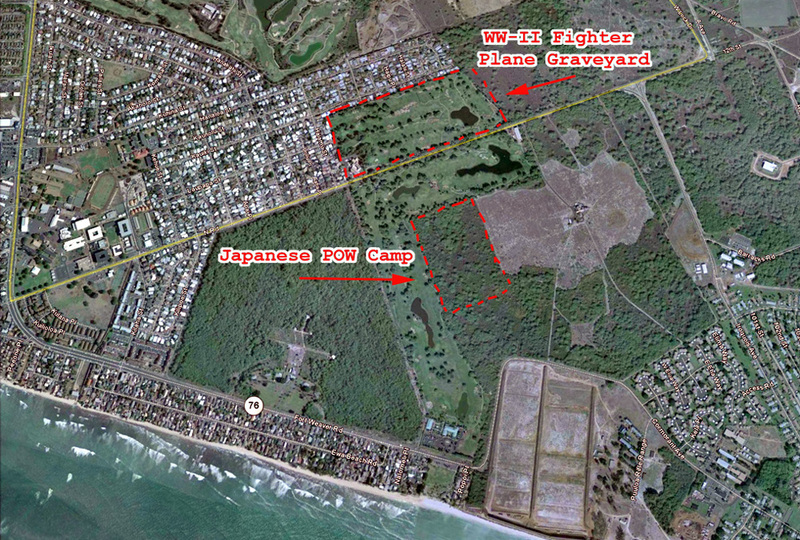 North of the site was where hundreds of Pacific War Navy and Marine aircraft were shredded beginning in 1946. The 1946 schematic map legend lists 40 buildings: Headquarters, BOQ, Recreation, 9 Barracks, Officers Mess, Enlisted Mess, Store Houses, 3 Interrogation, Dispensary, Food Distribution, 4 Guard Towers, Work Shop, and most importantly, a Beer Hall. From The Interpreter stories about Camp Iroquois emerge. Otis Cary, 84, who died of pneumonia April 14, 2008 in Oakland, played a unique role in U.S.-Japan relations during and after World War II. He was one of the 1,100 Japanese linguists trained by the Navy to serve as interrogators, translators and interpreters after the 1941 attack on Pearl Harbor. When America entered World War II, Cary enlisted in the Navy and breezed through its crash course in the Japanese language at UC Berkeley and the University of Colorado. Assigned to a POW camp at Pearl Harbor in early 1943, he became executive officer of the interrogation section. His first interrogation subject gave up information vital to the Allied offensive in the Aleutians after the prisoner learned that Cary was from his hometown of Otaru. Cary's deep understanding of the Japanese enabled him to help the POWs overcome their shame at having been captured and their fears of returning home in disgrace. He counted among his "converts" POWs who went on to become leaders in the new Japan, including the publisher of a major newspaper and a prominent physician. He also drummed ideas of democracy into members of the imperial family, whom he met on several occasions after Japan's surrender in August 1945. Cary spoke to the POWs in colloquial Japanese, even though he was capable of navigating the language's many levels of politesse. He did this, Straus explained, to break down the Japanese military's stiflingly strict rank system and allow natural leaders to emerge. Cary refused to rough up prisoners and treated them as his equal. He always had larger objectives in mind. "Otis believed in treating prisoners very well," Frank B. Gibney, another former Navy interrogator who went on to become a prominent journalist and author of books about Japan, wrote a few years ago in an unpublished autobiography. (Gibney died April 9, 2008). 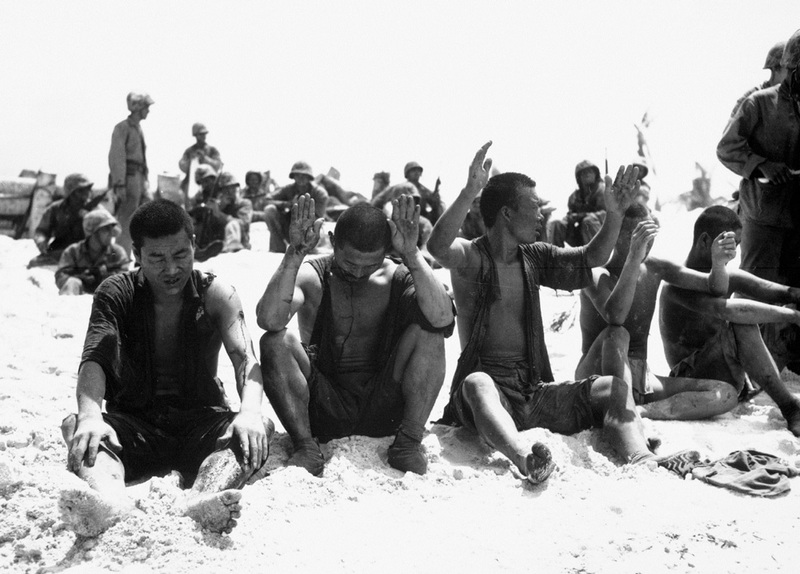 Japanese POWs expected tough treatment and were not cowed by harsh handling. By surrendering they had entered a separate new existence. They had expected torture and beatings but instead were shown kindness, offered chocolate, cigarettes and invited to talk about their families and where they came from. This treatment was so shocking that many Japanese POW’s completely opened up and divulged valuable military information that helped save both American and Japanese lives. other books on Asia and foreign policy. Our work was not publicized. Like most world powers, the United States officially subscribed to the rules of the Geneva Convention for POW treatment, according to which prisoners were not required to divulge any information other than the bare facts of their military identity -- name, rank and serial number. Even so, the convention's rules were consistently violated throughout World War II -- appallingly so in the case of the Japanese, Soviets and Nazis. But in the U.S. military, interrogations were subject to rules and review. Despite the vicious handling of American POWs by the Japanese, we tried to avoid the use of force. That sharply contrasts with news that U.S. military police and interrogators used intimidation, beatings, sleep deprivation, "stress positions," stun guns and other nasty methods to "soften up" Iraqi prisoners for intelligence purposes. Our reluctance to use force didn't mean that interrogation wasn't serious business. 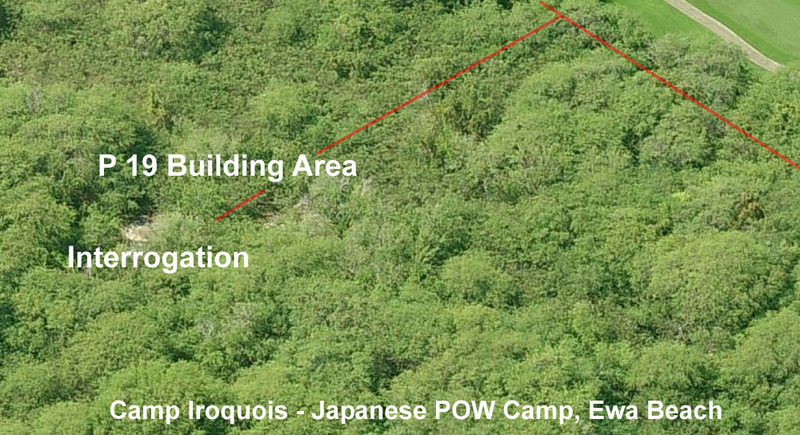 The camp, in the then-barren acres of Iroquois Point across from Pearl Harbor, was run for intelligence purposes. 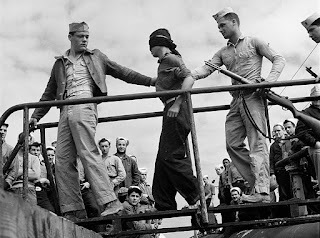 We handled all prisoners in the Pacific Theater thought to possess useful information. Equipped with a fairly detailed knowledge of Japanese army and navy units -- and a shopping list of strategic questions -- we asked POWs about war industries, regime personalities, home-front morale and future military strategies, as well as details about local units and their order of battle. Interrogators and prisoners spent time talking about personal histories and attitudes toward the war. We often ended up explaining a lot of recent history that had been withheld from them by their heavily censored press. Most captured Japanese soldiers talked freely. Thanks in good part to military regulations threatening disgrace for anyone taken prisoner, many did not want their names sent back home for fear of retaliation against their families. There were always a few die-hards trying to foment trouble, but we were generally able to isolate them. 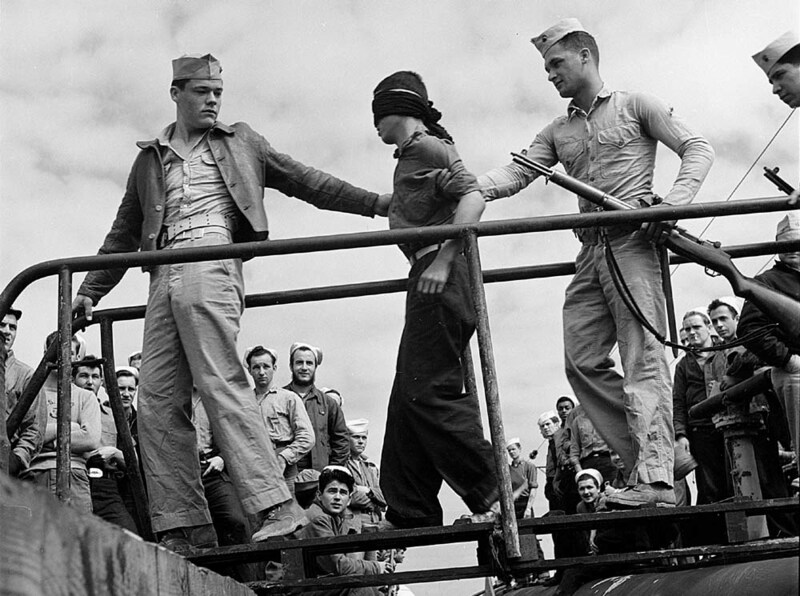 Most POWs were well behaved and surprised by the good treatment they received. In two years of interrogation, I can recall only one instance of an officer in charge ordering a Marine sergeant to rough up an aggressively close-mouthed prisoner. Hearing about this, the camp's executive officer went to the prisoner's cell, apologized on behalf of America and pressed magazines and a carton of cigarettes into the man's hands. Impressed by this involuntary good-cop, bad-cop routine, he began to talk. No more rough stuff after that. When Otis Cary interrogated Japanese prisoners during World War II, he softened them with gifts of magazines, cigarettes, and chocolates. He broke through their reserve with humor. And he spoke to them in flawless Japanese -- shocking from a blond American. Mr. Cary spoke like a native because he was one, the son and grandson of New England missionaries in Japan. With missionary-like ardor, he proselytized for the Allied cause, persuading many of the prisoners to cooperate in efforts to end the war and help rebuild Japan as a democracy. ''Prolonged contact with Americans in the prison camps clearly had an impact on many prisoners, and for none more than those influenced by Otis Cary," wrote Ulrich Straus, a former diplomat whose study of Japanese prisoners of war, ''The Anguish of Surrender," was published in 2003. Mr. Cary, 84, who died of pneumonia April 14 in Oakland, played a unique role in US-Japan relations during and after World War II. He was one of the 1,100 Japanese linguists trained by the Navy to serve as interrogators, translators, and interpreters after the 1941 attack on Pearl Harbor. For more than four decades after the war, he bridged cultures as a professor of American studies at Doshisha University in Kyoto. He was, in many respects, more Japanese than American. and longtime friend, who served with Mr. Cary during the war. ''To tell a fellow officer 'I came from Japan' was to start a quarrel" in the period after Pearl Harbor, Keene said. But Mr. Cary, he noted, ''saw Japan as his real home." Mr. Cary was born in Hokkaido, the northernmost island of Japan. He moved to the United States after elementary school and attended high school at Deerfield Academy in Massachusetts. From there he went on to Amherst College, which had a long history of ties with Japan through an exchange program with Doshisha. When America entered World War II, he enlisted in the Navy. Assigned to a POW camp at Pearl Harbor in early 1943, he became the executive officer of the interrogation section. His first interrogation subject gave up information vital to the Allied offensive in the Aleutians after the prisoner learned that Mr. Cary was from his hometown of Otaru. a ritual to set them at ease. As recounted by Straus, Mr. Cary lined up the prisoners and called their rank, beginning with the lowest rank first. Privates first class were asked to take one step forward, the next highest rank two steps forward, and so on. Mr. Cary generally ran out of prisoners by the time he reached lieutenant or captain but continued the exercise until he reached the highest ranks. ''What, no generals or admirals?" he would ask, feigning shock when no one stepped forward. This caused the assembled prisoners to burst out laughing at the absurdity of the exercise. The Navy and Marines developed policies regarding the handling of Japanese POWs that were heavily influenced by Major Sherwood Moran, USMC, former missionary, who recommended that Japanese could not be brutalized beyond how that of their child-raising, schooling, and military training and that gentle and kind handling would produce better results. The Army was similarly convinced by a missionary officer, as well. So the US WWII military POW protocol coincided with the trained inclinations of the language officers. University of Colorado at Boulder Libraries. Archives Dept. I am sending you some of my official papers as a naval officer. They are extremely boring, but perhaps they may be of use if anyone is interested in tracking where language officers went. I am also sending a photograph taken in 1943 or 1944 in Hawaii. The three people in the picture (Keene, de Bary and Cary) were all Boulder graduates in January 1943. We were stationed in Hawaii and lived in the same house on Kamehameha Avenue, but worked in different places. Otis Cary was officially at JICPOA (Joint Intelligence Center, Pacific Operating Area), but spent most of his time at prisoner of war camps. Ted de Bary was at the District Intelligence Office in Honolulu. I was at the Annex, a supposedly secret office on Kapiolani Boulevard in Honolulu, where Navy and Army personnel translated captured documents. I think that the office was situated in Honolulu rather than at Pearl Harbor because the Navy was very reluctant to admit Japanese-Americans into the navy yard, even if they were in military uniform. The office specialized in translating handwritten documents, and for this reason it was believed that the Nisei interpreters would be better at deciphering handwriting than naval officers. The Boulder graduates who worked at this office were Sam Brock, Richard Beardsley, Charles Hamilton and myself. I enclose a poem written by Charles Hamilton, known by his Chinese name Ch’a-êrh, to me, known by my Korean name T’ang-nap. The references are all to our life in Honolulu in 1943- 1945.
waitress with an unchanging simper. We called her Beatrice after the character in the Divine Comedy. Major Bruner was the exasperating army officer who headed the Annex for one long year. The material you sent concerning the JLS at Boulder including a set of The Interpreter newsletters has arrived. Thank you very much. I am sorry that my brother George is no longer with us so we could read and talk about it together. My knowledge of his experiences is limited. One story of his impressed me – As a missionary family, we lived in Akita, Japan from 1929 to 1932. George was 10 to 12 years of age and fluent in children’s Japanese. Right behind our house was a boys’ orphanage. While interrogating a Japanese POW during the War, he learned that the prisoner was from Akita. George asked him if he had ever known an American. The POW replied that there was a boy from the house behind them who used to come over and play baseball with them. For me that would have been old home week – “I’m the guy.” But George never identified himself – something about not fraternizing with the enemy. 1. Japanese Americans made up more than 3/4th of the sensei of both the Navy and the Army Japanese Language schools located at Harvard (1940-41), Berkeley (1940-42), Boulder (1942-1946). 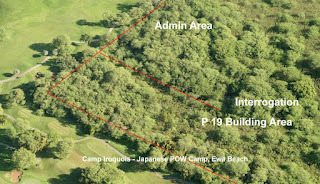 Navy and Marine Japanese Language Officers worked as interpreters and interrogators at Iroquois Point (Camp Iroquois). These Nisei Sensei in CAL Berkeley and CU Boulder helped imbue these language officers with considerable respect for the Japanese people and culture. 2. USN and USMC language officer veterans time and again explain that the school imparted a respect and affection for the Japanese culture and influenced how they dealt with Japanese POWs, displaced personnel, and occupied territory. 3. USN JLOs frequently sought out Nisei Hawaiians with whom to socialize. 4. The Navy and Marines developed policies regarding the handling of Japanese POWs that were heavily influenced by Major Sherwood Moran, USMC, former missionary, who recommended that Japanese could not be brutalized beyond how that of their child-raising, schooling, and military training and that gentle and kind handling would produce better results. The Army was similarly convinced by a missionary officer, as well. So the US WWII military POW protocol coincided with the trained inclinations of the language officers. 5. In addition, many of the language officers had been raised in Japan and China and had known Japanese people in their childhoods. These bilingual “Born-in-Japan” and “Born-in-China” JLOs were most often sent to the POW camps as they had the spoken Japanese skills that the rest of the JLOs did not. Their affinity with the Japanese is illustrated by stories told by Arthur Dornheim, George Nace, about Otis Cary, and a number of others. Consider this just a start. We may be of considerable help to you. As I mentioned, you can use the Google custom search on http://ucblibraries.colorado.edu/archives/index.htm to find articles in the newsletter by using terms like “POW,” “prisoner,” Cary, Nace, Dornheim, etc. They will bring up issues of The Interpreter carrying articles of interest. You will need to get the books by Slesnick, Dingman, Meehl, and Ulrich, just for starters. These books are about Americans not of Japanese ancestry, who served as Japanese language officers in World War II. Covering the period 1940-1945, it describes their selection, training, and service in the Navy and Marine Corps during the war and their contributions to maintenance of good relations between America and Japan thereafter. It argues that their service as "code breakers" and combat interpreters hastened victory and that their cross-cultural experience and linguistic knowledge facilitated the successful dismantling of the Japanese Empire and the peaceful occupation of Japan. The books show how the war changed relations between the Navy and academia, transformed the lives of these 1200 men and women, and set onetime enemies on course to enduring friendship. Its purpose is twofold: to reveal an exciting and hitherto unknown aspect of the Pacific War and to demonstrate the enduring importance of linguistic and cross-cultural knowledge within America's armed forces in war and peace alike. The book is meant for the general reader interested in World War II, as well as academic specialists and other persons particularly interested in that conflict. It will also appeal to readers with an interest in America's intelligence establishment and to those interested in Japan and its relations with the United States. This history tells and exciting and previously unknown story of men and women whose brains and devotion to duty enabled them to learn an extraordinarily difficult language and use it in combat and ashore to hasten Japan's defeat and transformation from enemy to friend of America. 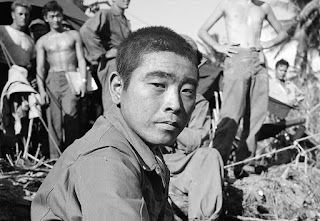 One Marine's War recounts the experiences of Robert Sheeks, a Marine combat interpreter, and how he underwent a remarkable transformation as a consequence of his encounters with the Imperial Japanese Army, Nisei Japanese-American language instructors, Japanese and Pacific Island native civilians, and American Marines. It is the first time the entire story of one Marine Corps combat interpreter has been told, and it provides a unique insight into an aspect of the Pacific war that is not only fascinating history, but also a compelling personal struggle to come to terms with a traumatic childhood and subsequent harrowing combat experiences. The son of an American corporate executive, Bob was born and raised in Shanghai until the family fled the impending Japanese occupation in the 1930s. He was emotionally scarred by grisly atrocities he personally witnessed as the Japanese military terrorized the Chinese population during the "Shanghai Incident" in 1932. However, his intense hatred for the Japanese military was gradually transformed into tolerance and then compassion. He was recruited out of Harvard after the Pearl Harbor attack to be a Japanese language interpreter in the Marine Corps. When he encountered kind and considerate Japanese-American Nisei instructors during the intensive course at the U.S. Navy Japanese Language School at the University of Colorado, he began to re-think his attitudes toward the Japanese. Ultimately, through an intriguing set of circumstances, he developed an empathy for the Japanese enemy he formerly despised. This began during the invasion of Tarawa where he was frustrated by the near impossibility of capturing Japanese combatants, partly because there was no way to communicate with them in their bunkers where they fought to the death. That led him to devise methods to use a combination of surrender leaflets and amplified voice appeals to convince the enemy to surrender. As a consequence, he personally ended up saving the lives of hundreds of Japanese civilians and military by being able to talk them out of caves during combat on Saipan and Tinian in 1944. He was able to find humanity in the midst of war. For his efforts he was awarded the Bronze Star with a unique commendation, certainly one of the few medals ever given to a Marine officer for saving the lives of the enemy. A history of America's heroic effort to learn Japanese both for the war, and for the peace that followed. Of the 8000 Japanese linguists trained for this effort, 6000 were Japanese Americans. The linguists became the bridge from war to peace with Japan. From the Allied -- mostly American -- perspective in the zones of conflict, the capture of Japanese soldiers and sailors, especially if they were officers, was important if the POWs could provide battle-front intelligence. For that to be realized, two requirements had to be met. First, interrogators of POWs and translators of captured documents were essential. Second, the POWs had to be willing to share important information. The latter imperative was overcome with relative ease because once they had taken the monumental step of surrendering -- sometimes by feigning unconsciousness -- they had no code of conduct to guide them and so answered questions freely. Some even assisted in the preparation of leaflets or verbal appeals to their erstwhile comrades to surrender. 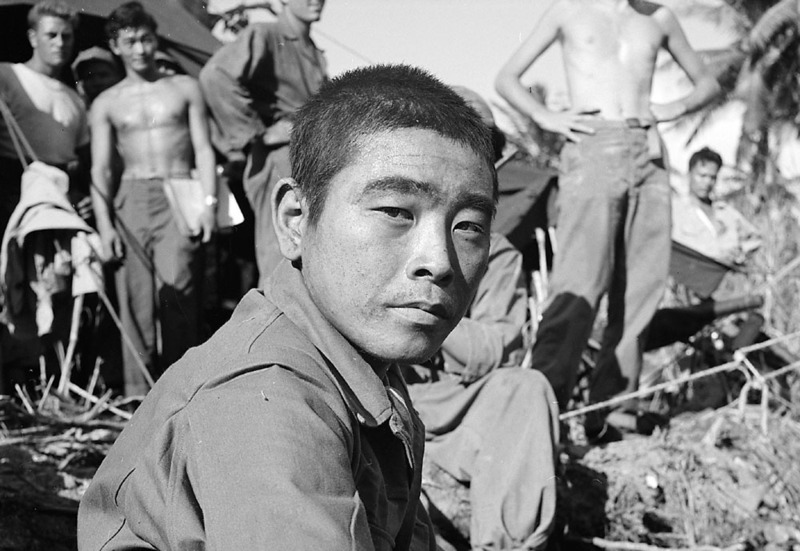 Okinawan-speaking Nisei became adept at spotting Japanese deserters among the refugees. Recalled one Nisei: the ability of most of our team members to speak the Okinawan dialect proved most helpful in interrogation of Japanese prisoners. 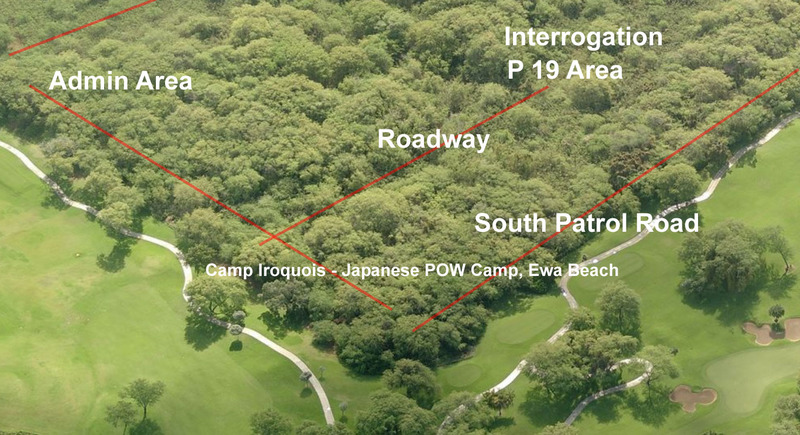 this was especially valuable and effective in separating out the Japanese soldiers masquerading as Okinawan civilians. A few basic questions to them in the Okinawan dialect immediately unmasked their disguise. Very few Japanese soldiers could understand, much less speak, the dialect. they would be embarrassed when unmasked and, thereafter, would be in a more cooperative mood. In the ensuing years after the stunning Japanese victory over one of the most well regarded militaries of Europe in the Russo-Japanese War of 1905, The United States Army and Navy both began their own multi-year Japanese Language tutorials in Tokyo. Both services sent naval and military academy graduates to train while assigned as attachés at the embassy. From 1910 until 1940, the Navy program trained 41 Navy language officers and 16 Marine language officers, of which 48 graduated and 35 became active intelligence officers during World War II. In 1941, because of growing diplomatic strain the school had to be removed from Tokyo to the United States. It was clear that the school needed to shorten its curriculum to produce language officers quickly, and expand enough to produce enough linguists for the needs of the Navy and the Marines. After experiments with a Marine school at Pearl Harbor, and two pilot programs at Harvard University and the University of California at Berkeley, the USN Japanese Language School (JLS) shifted entirely to Berkeley in late 1941. The school used texts pulled together and a curriculum developed for the Navy by Naoe Naganuma, who had headed the Tokyo school (for the Navy, the Foreign Service and the Army) in the 1930s. The length of training shortened to 14 months, and the instructors were mainly Nisei from California and Washington. The attack on Pearl Harbor on December 7, 1941 and the subsequent internment of West Coast Japanese necessitated the school to move again or lose the bulk of their instructors/sensei to the camps. Since Colorado Governor Ralph Carr had “welcomed” Japanese Americans to the state, and University of Colorado president Robert Stearns was lobbying with the Navy to bring schools and personnel to the university to take the place of the many students who had either enlisted or had been drafted by the military, the JLS need for a location and the university’s need for students and funding coincided. In June of 1942, the Navy’s JLS arrived in Boulder, Colorado. The School’s Navy cadre, Nisei and former missionary instructors were joined by an enrollment of alumni, recent graduates and even graduate students from the nation’s most prestigious universities and colleges, with an emphasis on those who were raised in Asia and were members of Phi Beta Kappa. Trained in classes of five, most students knew only those who had come from their schools, roomed with them, or stood nearby in formation. After rigorous, intensive language training, the newly commission Navy and Marine officers were provided intelligence training at the Henry Hudson Hotel in New York City. 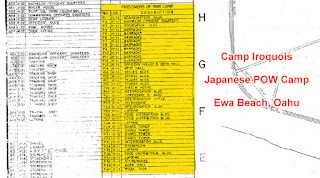 The Navy and Marine Japanese Language officers were then assigned to intelligence, translation, interpretation, decoding, or interrogation duties in ONI or ONC facilities in Washington, DC, CINCPAC’s Joint Intelligence Center Pacific Ocean Area at Pearl Harbor, SWPAC’s Allied Translator and Interpreter Section in Australia, Fleet Radio Units at Pearl Harbor or Melbourne, or any of a number of Marine battalions, regiments and divisions during the many island campaigns. 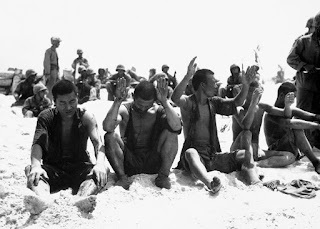 Aside from assisting in major code-breaking coups, as well as strategic and tactical discoveries, they also developed a humane manner of handling and gaining intelligence from Japanese POWs, helped arrange the surrender of bypassed Japanese units, facilitated the repatriation of the bulk of the Japanese Imperial military after the surrender from China and island bases, and were an integral part of the Occupation of Japan. Perhaps as important as their wartime contributions were their postwar careers in many fields that would enhance the understanding between Japan and the United States. After WWII, the former Navy and Marine JLOs filled the ranks of academia studying and teaching the anthropology, history, literature, art, economy, society, biology, language, landscaping, political science, and other aspects of Japan and Asia. Another group joined the US Foreign Service, rising through consular and embassy positions to the ranks of consul and ambassador. Another portion of JLS graduates became intelligence experts in the CIA, NSA, and Defense Intelligence Agency. As I joke, “The failures in this group became doctors and lawyers.” In all, they dominated the fields that sought to comprehend and interpret Japan for America for almost a half century – truly a gift that kept on giving.